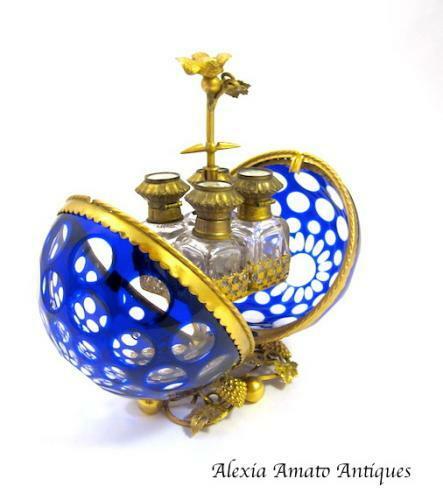 Antique French Blue and Clear Scent Casket with Dore Bronze Mounts and Pretty Bird Finial. The Casket Encloses 4 Scent Bottles with Miniatures of Paris. Each Scent Bottle has its Original Inside Stopper. 17 cms High x 12 cms Wide When Closed.